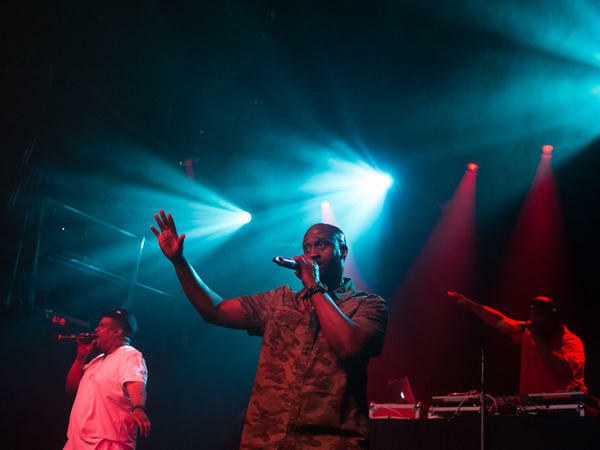 De La Soul celebrated their 25th anniversary with a performance at Irving Plaza in New York. The group is recording a new album in Atlanta set for release in the fall of 2015. Members of hip-hop group De La Soul stopped by ''A Closer Look'' to reminisce about the early days of the band and the group's upcoming new release. 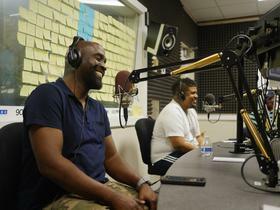 The Long Island, New York, hip-hop trio De La Soul is working on their first new album in more than 10 years. The group’s debut release “3 Feet High and Rising” is considered a groundbreaking album, not just within hip-hop circles, but within the industry as a whole. Rolling Stone reviewed it 20 years after its release crediting the album as an early influence to modern hip-hop icons such as Kanye West, Mos Def and Outkast. The band members, which formed in 1989, are known as Posdnuos (Kelvin Mercer), Dave (David Jude Jolicoeur) and DJ Maseo (Vincent Mason). They are currently finishing up their new studio album in Atlanta. It’s due out next fall.